It is with huge sadness that we mark the loss of Claudio Abbado, who died early this morning in Bologna. 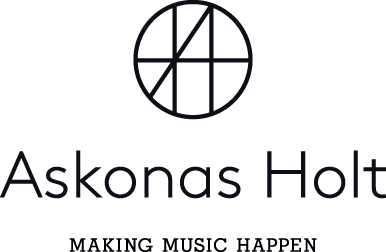 Askonas Holt worked with Maestro Abbado over the course of many years, representing him in the UK, organising numerous concert tours with the Berliner Philharmoniker, and more recently bringing the Lucerne Festival Orchestra to the BBC Proms and to London’s Royal Festival Hall. Many of these concerts have already passed into legend. “We have lost a great musician and a very generous man. Ten years ago we all wondered whether he would survive the illness which has now claimed him, but instead, he, and we as musicians and public, could enjoy an extraordinary Indian Summer, in which all the facets of his art came together in an unforgettable way. “Claudio was one of the wonders of the world. I think in more than 20 years of knowing him I only heard him raise his voice twice. One of those times was, typically, in jest! He was the master of leading those around him exactly where he wanted them without ever seeming to demand or insist, without ever being too explicit, or damaging the feeling of freedom that he gave each musician. He created at least 6 orchestras, most of them for young people. Through this he did more than any single person in our time to educate an entire generation, maybe 2 generations, in what it means to play in an orchestra. I doubt there is a single professional orchestra in the whole of Europe without a group of musicians who played at some point in one of the orchestras he founded. Musicians who will never forget his simple message – Listen! (of course said in barely a whisper) Claudio sought to remove himself from the equation, he talked endlessly (on the rare occasions when he spoke at all!) of all music as being Chamber Music. If he could aid the musicians to play, so to speak, undirected then he could work his magic. Cajoling and inviting, he would then take the performance to unimagined heights He spoke multiple languages perfectly, but always pretended he couldn’t! Especially if the conversation taking a turn he didn’t appreciate! His wonderful look of total confusion could disarm almost any situation, we all loved him desperately but few dared to risk upsetting him. His acts of generosity were extraordinary and his single-mindedness could be hugely demanding. There is a large group of us who were lucky enough to have been, at one point or another, part of his close circle. This was not always an easy place to be but I know of none of us who would have had it any other way. He was, and will continue to be, often imitated. It isn’t very difficult!! Take all the focus out of your consonants, look lost and confused, put your hand on your chest and say ‘beautiful music’ ‘schöne Musik’ What more did he need to say?! He was cheeky, impish, wicked and hysterically funny. He was magnetic, charming and, so I am told, gorgeous! He was the greatest conductor I have ever seen or heard in person. Not always, not for all repertoire, but when he was in his element and comfortable with those around him then there was nobody to touch him. In Lucerne, over the last years, once again he built himself a fortress. Everything was on his terms; who played, what was played, when he rehearsed, for how long.. It could be merciless, but in the end the results were unforgettable like almost nothing else. I don’t think the musicians of the Lucerne Festival Orchestra would have done all that for anybody else. There was nobody else like Claudio and there won’t be again. “Askonas Holt had a long and exciting association with Claudio Abbado. Lies Askonas was the first to spot his talents in the 70s, when he was conducting at the Salzburg Festival and most notably as a young Music Director at La Scala. 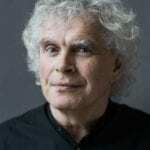 I started to work with him when he became principal conductor of the London Symphony Orchestra in 1978. I remember my very first meeting with him in his room at La Scala. Where such greats as Toscanini, de Sabata and Giulini had held court. Harold Holt arranged many tours for the LSO and Abbado, especially to Japan and to Italy. One tour in 1983 included a historic pair of concerts at La Scala, one with Claudio and one with Carlos Kleiber, whose sister was Abbado’s assistant. Abbado conducted some memorable performances of Opera and concerts with his LSO at the Edinburgh Festival, where he had a close friendship with the Festival Director, Peter Diamand. A production of Carmen with Teresa Berganza and Placido Domingo was the best around. Abbado gave equally stunning performances at Covent Garden. A vivid Boris Godunov directed by the Russian Andre Tarkowski gave a young Robert Lloyd the title role. Abbado and the LSO opened the Barbican Centre concert hall in 1983. Those of us still around are grateful for the innovative series of Mahler, Vienna and the 20th Century concerts that he devised in the mid eighties. Sadly, after he took up his post as Music Director at the Vienna State Opera in 1988, he never returned to the LSO. He was never one to look back. However, once he was invited to take on the Berliner Philharmoniker, Harold Holt and then AH arranged 6 visits to Japan between 1990 and 2000. He was gravely ill during the tour and was unable to conduct the Dress Rehearsal of Tristan and Isolde, a Salzburg Osterfestspiele Production which we took to Tokyo. But he came out of the hospital to conduct the first night and the next two performances.